It's rouuunduuuup tiiimeee!!! 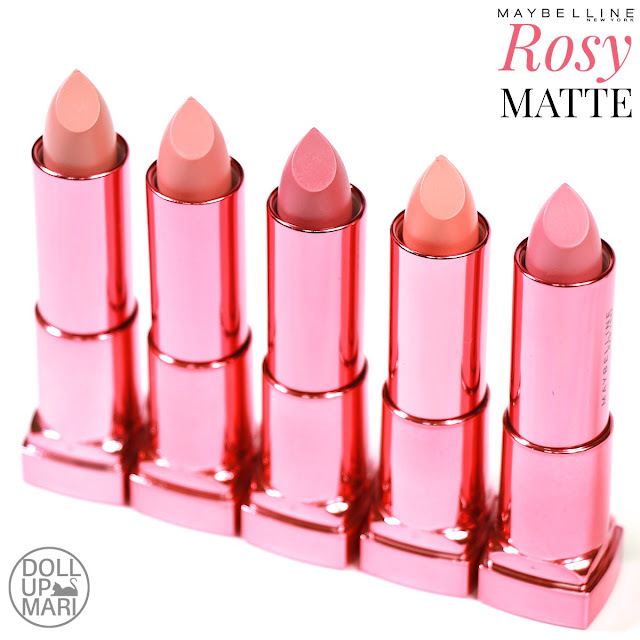 I am sooooo smitten by this nudy pink collection by Maybelline!!! This is how the packaging looks like. It's sooooo cute!!! 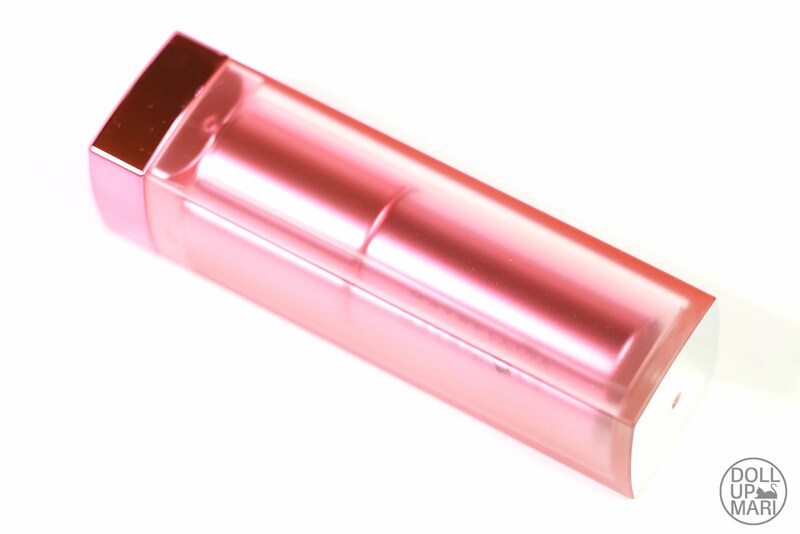 I like how they made pink cases and bodies for this collection!!! For this photo and the ones that follow, I have them all from Mat 1 to Mat 5, from left to right. 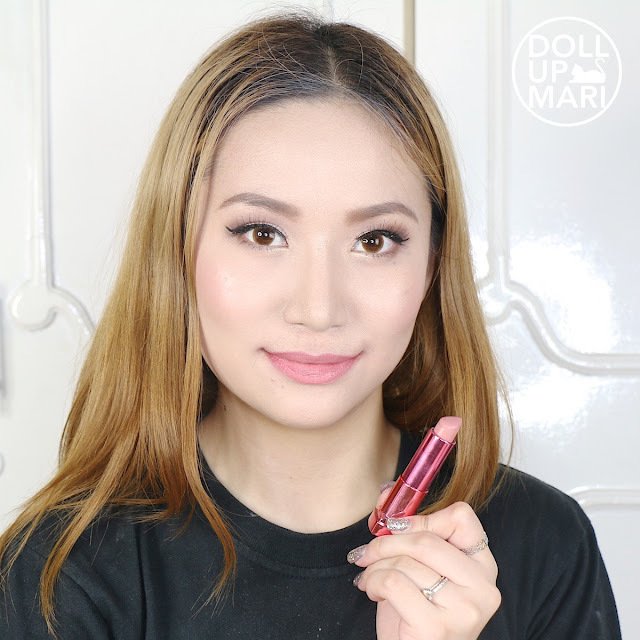 For my lip swatches, skin swatches and overall look, feel free to check out my reviews for each shade! 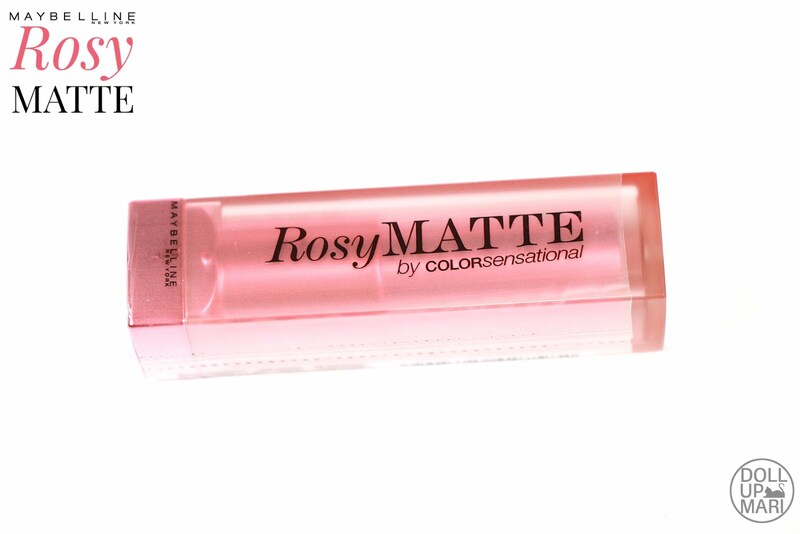 Mat 1 (Natural Beige)- A light strawberry mauve. 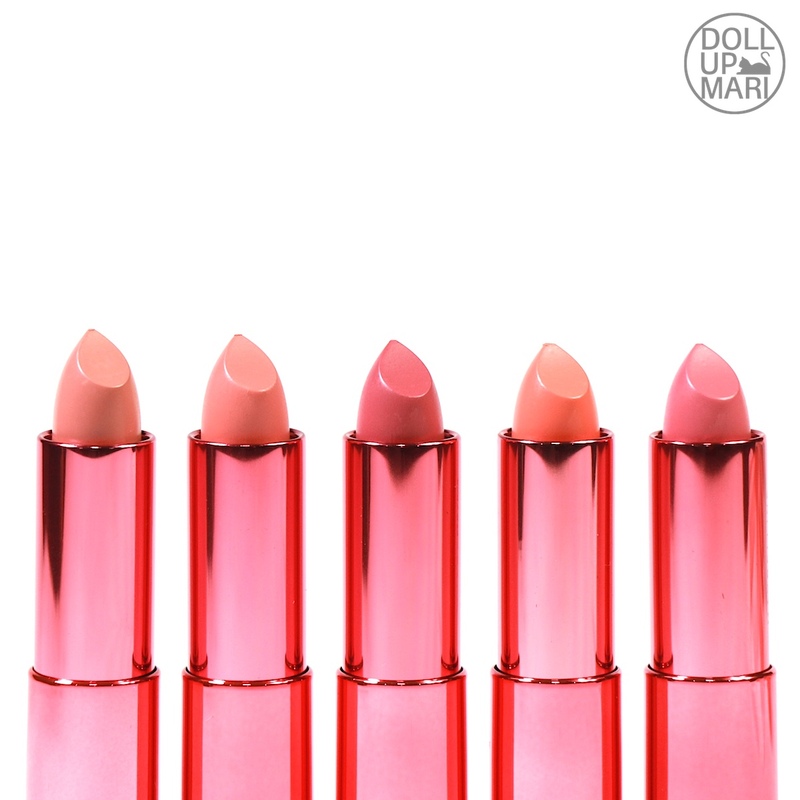 Mat 2 (Salmon Pink)- A creamy coral pink, or salmon pink for that matter! Mat 3 (Rosy Peach)- A muted and milky mauve, or counts as a dusty rose. 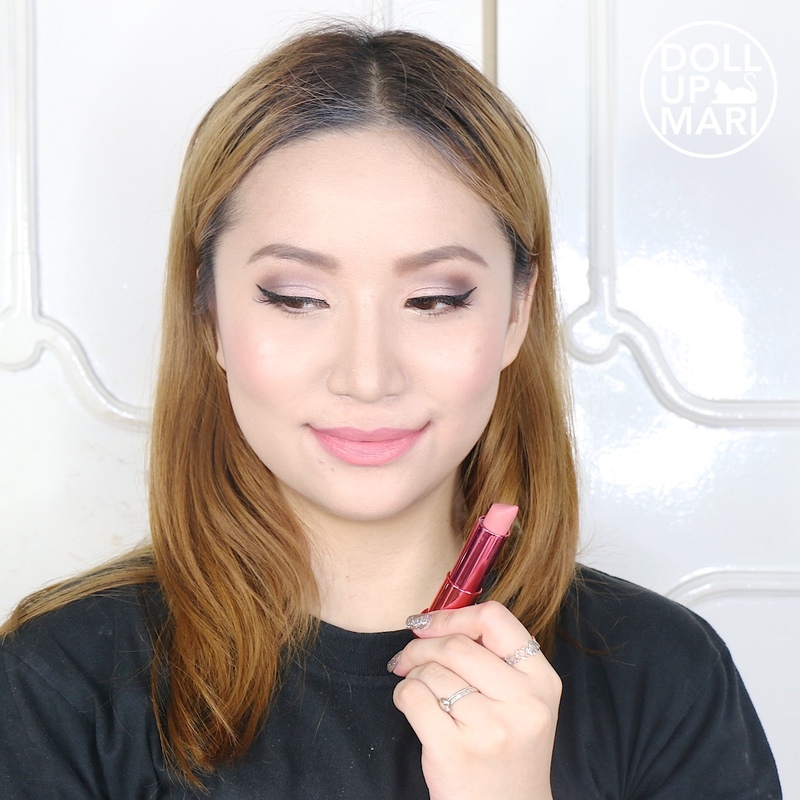 Mat 4 (Apricot Beige)- Melon ice cream turned lipstick! Mat 5 (Soft Pink)- A creamy strawberry milkshake pink. 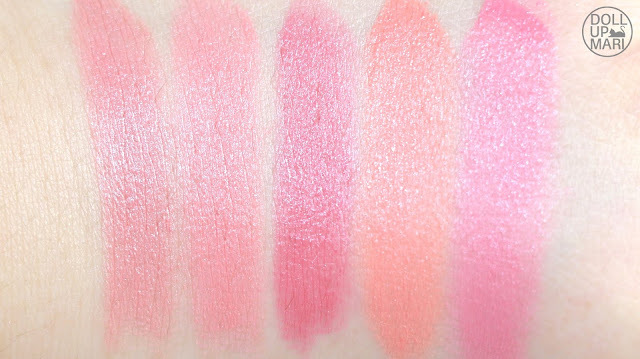 These are the swatches from Mat 1 to Mat 5 side by side. 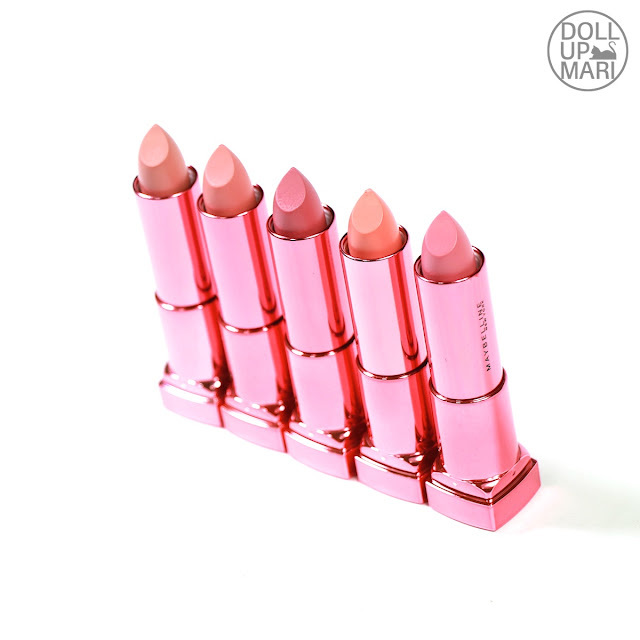 Shade Selection: This is a five shade collection of very creamy and mellow pinks, mauves, and nudes. I'm certain there'll be some criticism thrown at Maybelline given how close the shades are to each other. 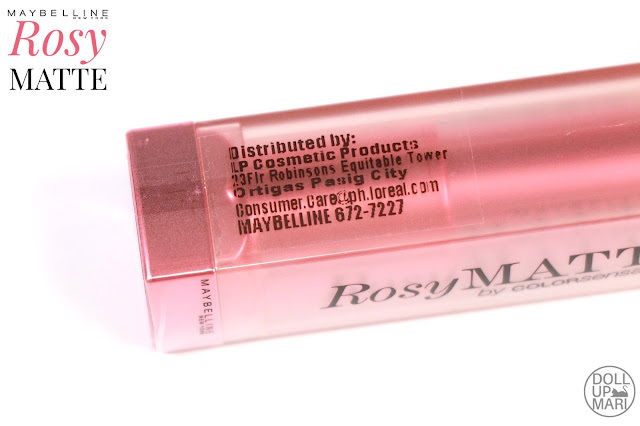 But I think the explanation is that this product line is meant to be the MLBB lipsticks of Pinays. 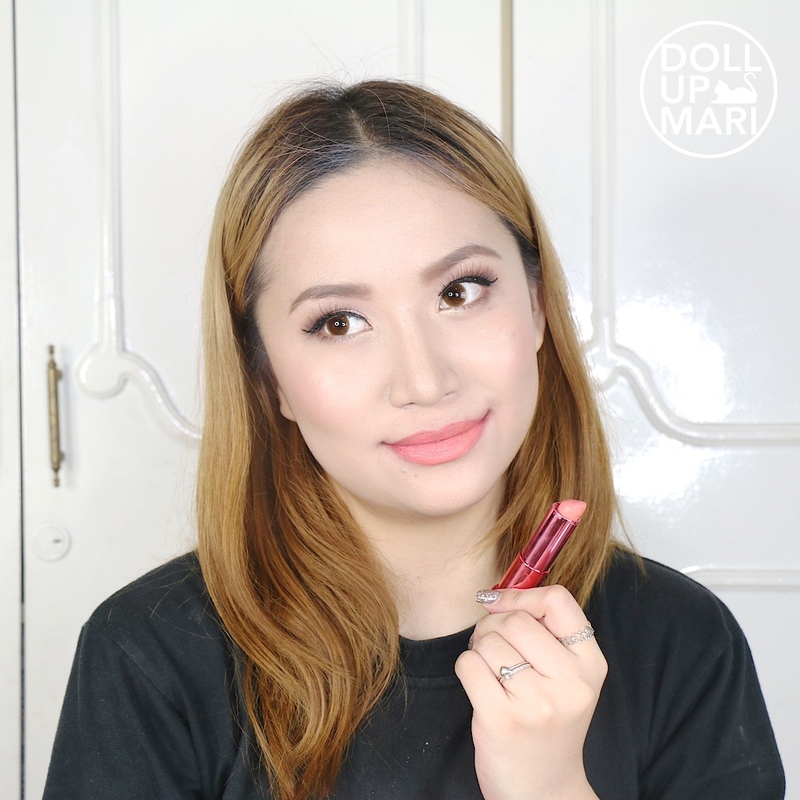 What counts as "MLBB" (My Lips But Better) differs depending on the person you're talking to. Some people think that if the color "fades" into you, then it's MLBB. 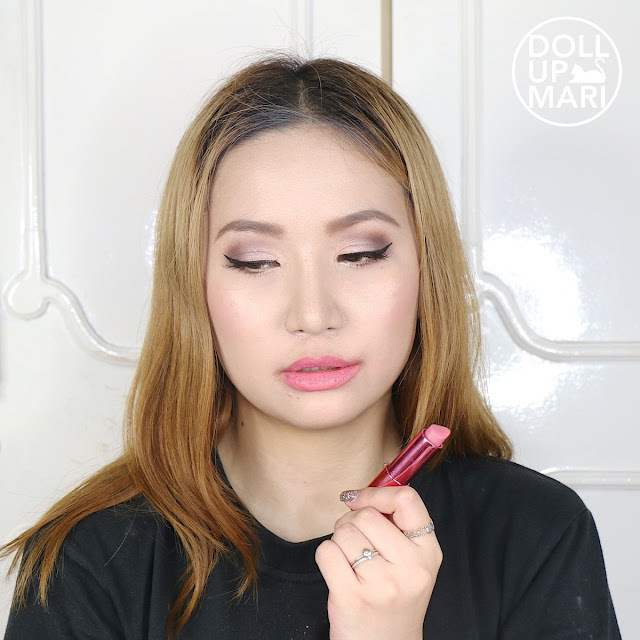 I personally consider lippies with the same color as my gums as MLBB shades. 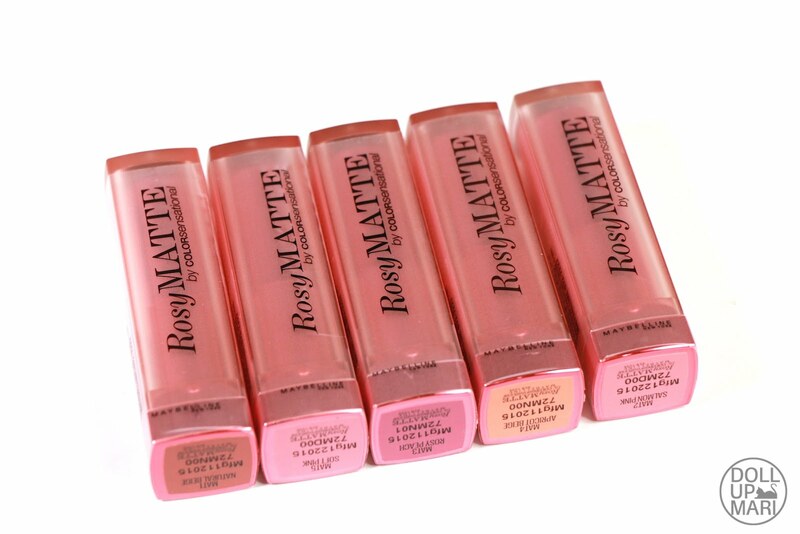 Some others consider all light colored muted rose and mauve shades to be MLBB. 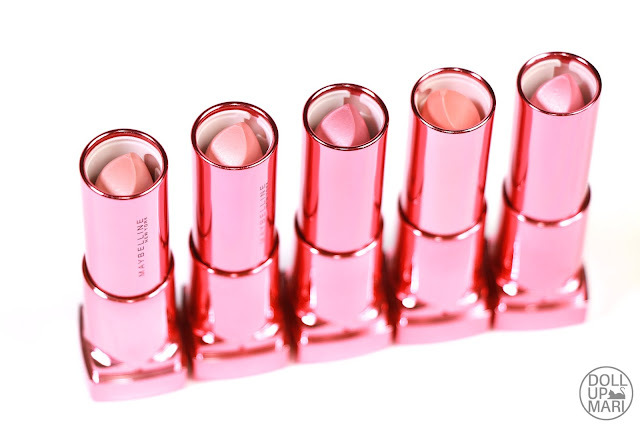 And to be honest, all three definitions of MLBB are what this collection is all about. 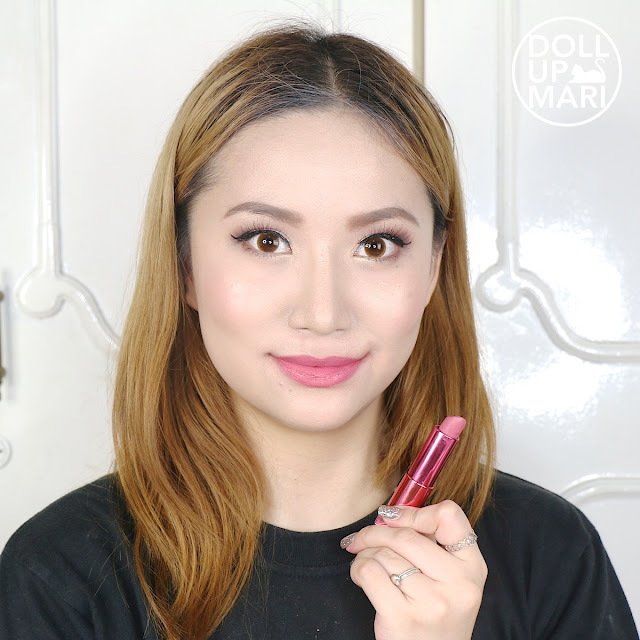 So for MLBB lipsticks, this is a great collection. OMG I Love their Peeeenk collection haha! The packaging says it all! I wish I could bring them all home! Lol!